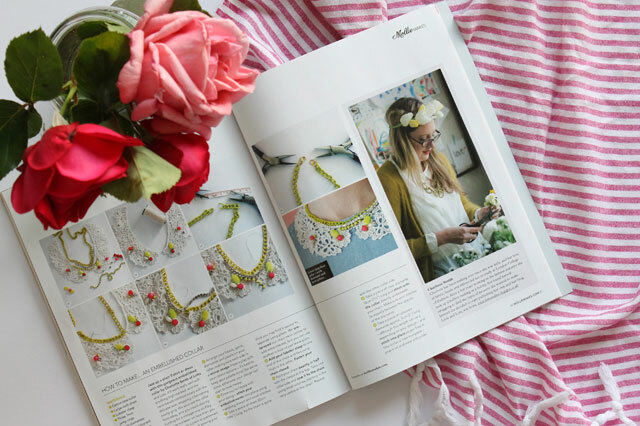 My Embellished Lace Collar tutorial is featured in this months Mollie Makes (issue 40) - gahhhh! I've said this quite a few times already but it is still so exciting to see my work in print, I have three full pages (pg. 79 - 81) of steps and pictures and I feel just a little bit proud of myself. I've been reading Mollie Makes since it was first published and have every single copy in my stash so to be in it (again!) is brilliant. Mollie Makes, Issue 40 is out now. You are one talented lady and the pride is well deserved.